Peregrinate: To travel or wander around from place to place. The land of the United States is defined by vast distances encouraging human movement and migration on a grand scale. Consequently, American stories are filled with descriptions of human bodies walking through the land. 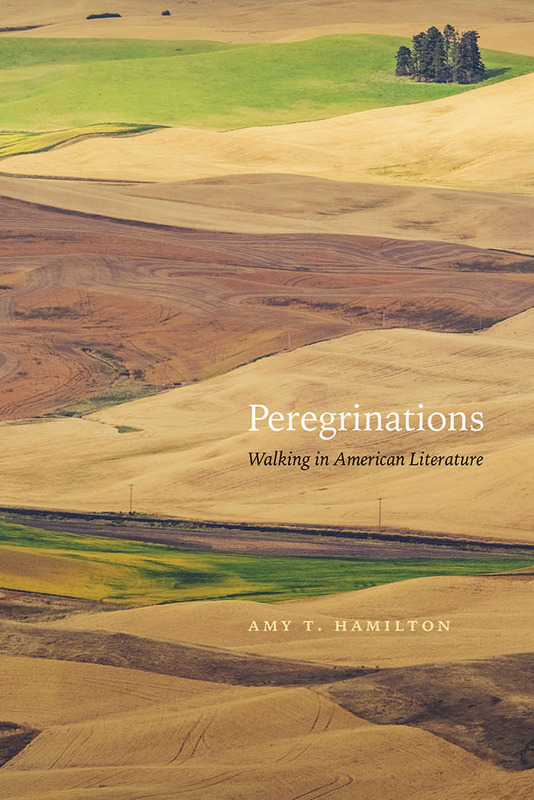 In Peregrinations, Amy T. Hamilton examines stories told by and about Indigenous American, Euroamerican, and Mexican walkers. Walking as a central experience that ties these texts together—never simply a metaphor or allegory—offers storytellers and authors an elastic figure through which to engage diverse cultural practices and beliefs including Puritan and Catholic teachings, Diné and Anishinaabe oral traditions, Chicanx histories, and European literary traditions. Hamilton argues that walking bodies alert readers to the ways the physical world—more-than-human animals, trees, rocks, wind, sunlight, and human bodies—has a hand in creating experience and meaning. Through material ecocriticism, a reading practice attentive to historical and ongoing oppressions, exclusions, and displacements, she reveals complex layerings of narrative and materiality in stories of walking human bodies. This powerful and pioneering methodology for understanding place and identity, clarifies the wide variety of American stories about human relationships with the land and the ethical implications of the embeddedness of humans in the more-than-human world. Amy T. Hamilton is associate professor of English at Northern Michigan University in Marquette, Michigan. She has written essays on Native American women writers, Euroamerican captivity narratives, and U.S. Southwest border literatures.